WAKE UP, ENERGIZE AND REFRESH YOUR BRAIN AFTER LONG HOURS OF STUDYING! It is once again that time of the year when the stress levels are at their peak, as exams are hovering over us. For some a typical day is made up of 12 hours of starring at books, others include doing everything but attending to the books. Either way the end result is stress. Every student is looking for tips and guidance to better their studying skills so that they can pass their exams. The basics of studying have not really changed over time and we believe that in order to absorb large quantities of information for the exam you have tomorrow, you need a fully rested and refreshed brain. To maximize the studying the time, you need all the energy and that comes from a goodnight’s rest. A day is made up of 24 hours and it is suggested that you get at least 7 – hours of sleep daily to function at your optimum capacity. It is very hard to shut off your brain when there is so much going on. So much information, from so many different subjects. 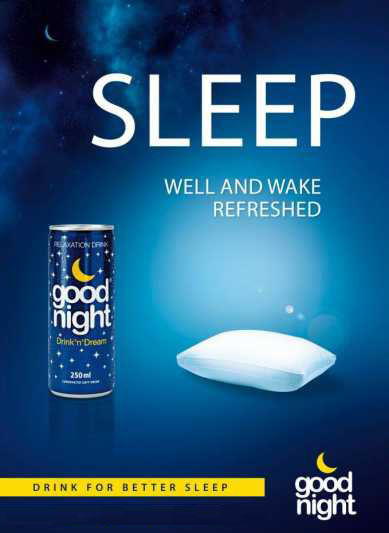 In order to help your sleep better and wake up refreshed, there is now a drink on the market called Goodnight! Goodnight is a 100% natural drink that helps you relieve stress and ensures a wholesome sleep so that you wake up refreshed and ready to take on the new day. It is not a medicine and has a very light fruity flavor.